The Dividist Papers: They're B-a-a-a-a-ck! Unity08Draft Bloomberg Americans Electrises from the grave. A "new" national organization focused on the 2012 presidential election uncloaked their semi-stealth operation over the weekend. After getting special access over the last few months, columnists Tom Friedman and John Avlon were released from their press embargo and obligingly wrote fawning reviews. Others were a bit more circumspect. Americans Elect is a 501(c)4 corporation. This means they are not required to disclose donors. The reader may be more familiar with this particular corporate classification within the context of the Citizens United vs. Federal Election Commission Supreme Court decision. Citizens United was a 501(c)4 corporation. Taken at face value, the objectives of the organization are novel, ambitious and exciting. They intend to qualify for the 2012 Presidential Ballot in all 50 states, then field a presidential slate that is nominated through an open process on the internet by means of a virtual on-line convention. Getting on the ballot in fifty states for any third party is a Herculean task. Or Sisyphean. Or both. Given the legislative roadblocks and partisan landmines used by the the two party duopoly to ambush third party electoral efforts, it is easy to rationalize the need for well-heeled donors to kick start the effort. As it turns out, Americans Elect secured some well heeled New York donors to kick start the effort. We don't know who they all are because, you know, Americans Elect is 501(c)4 corporation and they are not telling us. Taken at face value and considered in a vacuum, while looking at them sideways and squinting slightly, one could get excited about this new high-concept high-tech initiative to reinvent our political process. Problem being, this is really not a new organization, and we have some recent history to consider, and considering that recent history, we learn we cannot take what they say at face value. 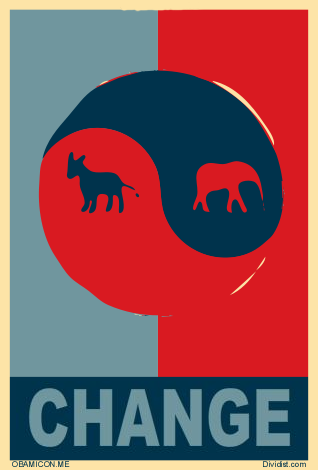 Americans Elect is Unity08, or more precisely - they would have been Unity12 until they got the shiny new name. Unity08 started at about the same time as I started this blog. I subsequently burned a few posts chronicling the Unity08 journey through the '06 midterms and the run up to the 2008 presidential election. In early 2008, well before a promised internet convention to nominate a "unity ticket" for the presidential election, Unity08 suddenly went up in flames and shuttered their site. Miraculously, only days later, the DraftBloomberg.com site emerged phoenix-like from the ashes, using the same address, infrastructure, a domain purchased a year earlier by Unity08, and staffed by many of the same people. This led some to speculate that the entire enterprise was nothing more than a Bloomberg stalking horse from the beginning. Cynics. Anyway, after Unityo8's rather unseemly demise (chronicled here and on Donklephant - the comments were particularly entertaining), I considered them dead and buried. Certainly I did not expect to see or hear from them again. So here we are. Americans Elect, backed by a bucketload of New York mystery money, is hiring petition gatherers, fighting expensive legal battles, and doing the hard grunt work necessary to get on the ballot in all fifty states. All in order to field a presidential candidate - To Be Named Later. So - if you are considering putting your idealistic heart and soul into this brave new political operation, make sure you understand exactly what you are getting into. "Unity08 had over 120,000 members and raised about a million dollars. Not much by presidential campaign standards, not as much as they wanted, but nothing to scoff at. Actually, I liked the idea of a Hagel/Bloomberg Unity08 candidacy, which is why, although dubious, I signed up as a “delegate”. I feel bad for those who put their heart and soul into the effort, as they have been treated rather shabbily by the organization. 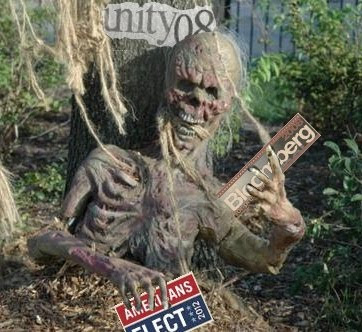 The whole thing smells so manipulative, so contrived and betrays such cynical contempt for the Unity08 supporters that I would find it difficult to support Bloomberg now." Look - I like Mike Bloomberg. Under the right circumstances, I might even be tempted to vote for him for President. But not as a 3rd Party candidate in 2012. He could not win but he could garner significant support and, like all "successful" 3rd party presidential candidates, function as a spoiler. My guess is that in 2012 he would be more likely to pull votes from Obama than the Republican candidate. I would not have minded that in 2008, as we might have avoided the subsequent disastrous 2 years of Democratic One Party Rule. 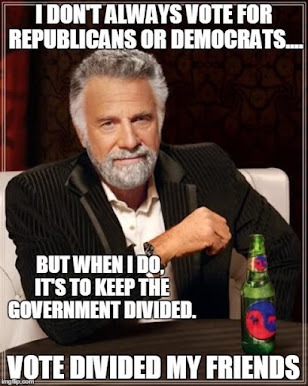 However, I am also not interested in seeing a return to equally disastrous One Party Republican Rule. The GOP will probably take control of the Senate in 2012. 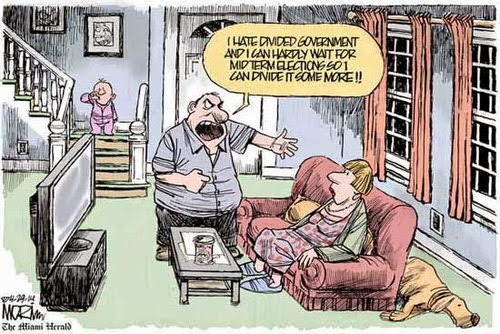 Reelecting Obama is the only way to avoid that particular calamity and retain our happily divided government. Sorry Mike. Let me know when you start hanging around with a better class of 501(c)4 corporations.